My years working within the field of Behavior Analysis and with families who have Autism have introduced me to some of the most amazing families. I love hearing their personal stories of empowerment and working with them to reach their goals. Over the years, many of these families have asked for my advice on navigating the Autism spectrum with their child. So, I’ve compiled this list of “Must-Dos” for any Autism parent looking for answers, support, a little humor, or even a good cry. 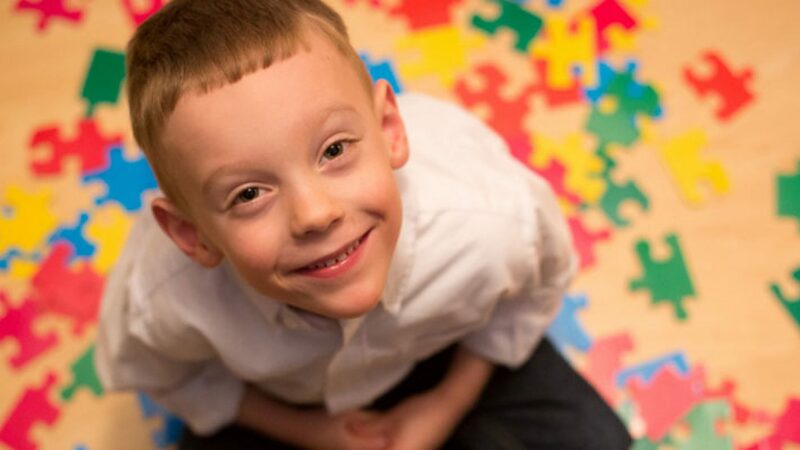 The diagnosis part is probably the hardest part of the entire Autism process. I’ve seen a diagnosis destroy families and end marriages. It is purported that up to 70% of marriages end in divorce when a diagnosis of Autism or other special needs occurs within the family. Do not become a statistic! Grieving is critical to healing. In order for you to be the #EmpoweredParent that you can be, you need to grieve. Go through the entire gamut: denial, anger, bargaining, depression…and finally, acceptance. You may bounce back and forth between a couple – or all – of these stages, and that is OK. It is to be expected. And it is healthy. Remember that to grieve means that you are working on your personal journey towards acceptance. It’s going to be a bumpy ride. And you are going to be stronger from taking these necessary steps. No, Your Child is Not “Lost”. I have heard it many times over the years where parents have felt that the Autism diagnosis has left their child as a ‘shell’ of their former self. Sure, an Autism diagnosis can make any parent question life, question their Higher Power, their purpose, and even their life’s direction. These are natural feelings. However, your child is not lost. Your child is still very much the person they were before the diagnosis – with the same likes, same dislikes, same mannerisms, same quirky behaviors and lots of love to give. Realizing and accepting this may require some time to adjust to your family’s new-normal. But, remember that the diagnosis does not identify your child. Your kiddo is still the perfect baby you gave birth to. And always will be. I have often been told that I chose the road less traveled in my career. #DamnProudOfIt. And while colleagues are taking data from their chair during observation, I have chosen to embrace Autism wholeheartedly, which has often included flapping, twirling and spinning right alongside my clients while taking data in real-time with a hand clicker. I ditched the formalities years ago when I first realized that a client and I became buddies after I started imitating his twirling and allowed him to lead. I noticed that he would watch me in anticipation of imitating his next move. It’s about rapport. It’s about joining your child on a deeper level of understanding. Of seeing the joy in flapping, in twirling, or in spinning. It’s about ignoring stigmas and societal naysayers and allowing your heart to lead you to a richer level of understanding and appreciation with your child. And most importantly: It’s about acceptance. Self-stimulatory behaviors help kids with Autism focus and redirect their energy. And it’s OK for them to stim in the right context and during appropriate times. With so much emphasis on Autism as a negative thing (and it’s not), how literal kids with Autism are has always put a smile on my face. I have worked with hundreds of children over the years, and one of the quirks I love more than anything regarding Autism is how literal these kids are. They take everything said, well…literally. My hope for every Autism parent is that they can experience this. These are the true joys of Autism, and some of the brightest moments that all Autism parents should embrace. I was working at a school and we were having a scavenger hunt with the students. Each child had a pen, a clipboard and the scavenger list on a piece of paper which was attached to the clipboard. I overheard a shadow aide tell her client with Autism that they were all out of clipboards and to “…just use your friends’ back to write your scavenger list.” Well, I think you can probably imagine what the child tried next…. You Can’t Predict The Future, So Embrace the Present. Find A Good Psychologist Who Understands Autism. It’s difficult to navigate the stages of grieving for most of us. And it can be nearly impossible for families to focus on healing when their attention is on helping their child. But I promise you, personal and/or family therapy provided by a psychologist who specializes in understanding Autism is critical for healing. A good psychologist will work with you individually to focus on obtainable self-goals to help empower you, to encourage you and to challenge you with homework or journal reflections that aide in your healing and empowerment. They can also assist in family therapy to set goals necessary for all members in creating a more functional family environment.